What are Datakit identification references? How to register on Datakit's website? Click on « register right now » in the right column. Fill in the register form and validate. « Compulsory : Click here to activate your account. You can now access to more options in the details products page : You can download products and their pdf, request a quotation and get licenses. You don't have a Datakit account. Make sure that you have clicked on the confirmation link you received by e-mail. If you don't see the confirmation email in your mailbox, please verify that it is not in your SPAM folder. If not, do not hesitate to contact us. We will activate it manually. Your password is not correct. Click here to receive it by email. A Datakit user account enables you to access all features offered by Datakit. Buy annual licenses and see their details. What account type must i choose ? In the register form, we ask you to select an account type. Choose "End user" if you want to use Datakit's converters for you or for your company. Choose "Reseller" If you are a software reseller and you want to sell Datakit's products to your customers. Choose "OEM" if your are a software publisher and you want to integrate Datakit's technology in your Software. Do your products benefit from a guarantee? Yes, all of our benefit from a free of charge quarter of year guarantee. During this time and till the end of it, feel free to download new versions of your product(s). These versions will work with your code. Support from our technical services is also included. After that period, we advise you to order a yearly maintenance. Do you propose a maintenance contract and how does that work? Yes, we propose a maintenance contract, but first of all, please remember that our products are delivered with a quarter of year guarantee. To know more about it, read the question “Do your products benefit from a guarantee ? ”. You can either purchase your maintenance contract when you order your product, or after the free of charge guarantee quarter has come to an end. You can purchase a one year (or more) maintenance contract. In any case, you will still benefit from your quarter of year free guarantee. Maintenance also includes support and help from our technical department. I got a new computer. What about my product license? Licenses depend on your computer Host ID number. So, if you change your computer, we will provide you with a new code wich can be used on your new computer with the same expiration date, provided that you certify you don't use our software on your former computer anymore. I get a license error (FlexLM). What does that mean? Here are the explanations of the license error codes. If you do not solve the problem despite these explanations, do not hesitate to contact us. The lookup for the host name on the SERVER line in the license file failed. This often happens when NIS or DNS or the hosts file is incorrect. Workaround: Use IP address (e.g., 123.456.789.123) instead of host name. The server (lmgrd) has not been started yet, or the wrong port@host or license file is being used, or the TCP/IP port or host name in the license file has been changed. -37 Duplicate selection mismatch for this feature. Obsolete with v8.0+ vendor daemon. -69 FLOAT_OK can't run standalone on license server system. -75 SYS$SETIMR call failed (VMS). *OS Error. -76 Internal FLEXnet Licensing error-please report to Macrovision Corporation (Acresso). -84 USER_BASED license has no specified users - see license server system log. -85 License server system doesn't support this request. See the system administrator about starting the server, or make sure that you're referring to the right host (see LM_LICENSE_FILE environment variable). -98 This FEATURE line can't be converted to decimal format. The server must be restarted for options file changes to take effect. The vendor daemon can't handle any more users. See the debug log for further information. In order to read the FLEXid hostid, the correct driver must be installed. These drivers are available from your software vendor. -119 lmdown and lmreread must be run on license server machine. Contact the vendor for further details. -144 License template contains redudant signature specifiers. -155 License key required but missing from the license certificate. The application requires a license key in the license certificate. You need to obtain a license key version of this certificate from your vendor. -500 Invalid server port number. -501 Invalid value in license where an integer was expected. -502 Invalid value supplied for count. -503 Invalid hostid supplied in license. -504 Invalid hostid type supplied. -505 Bad feature line syntax. -506 Internal FLEXnet Licensing error. -507 Bad date format in license file. -510 Server's feature doesn't authenticate on client side. -511 No license checked out. -512 License already checked out. -514 No certicom module available. -515 Wrong or incomplete certicom module. -516 SIGN or SIGN2 required in license certificate. -517 Feature object has no licensesources. -518 An Identical license is already checked out on this license source. -519 This license has an asynchronously-queued checkout pending. -521 Library for native hostid couldn't be loaded. -522 Already connected to another vendor daemon. -523 No such user, host, or display. -524 Shutdown of license server system failed. -525 Shutdown failed - already connected to license server system. -526 Invalid license source string. -527 Log file switch error. How do I get a demonstration license? On the Datakit website, log onto your account. 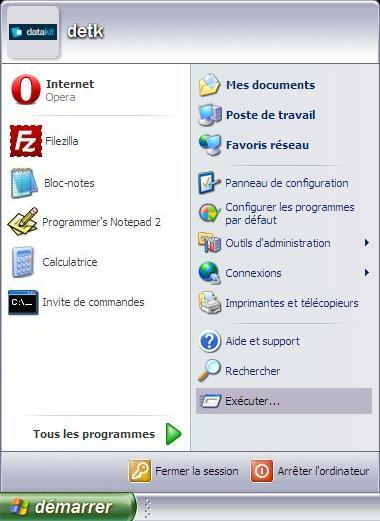 Clic on « Get demo license» on the right menu. Select the products that you want on the lists. They will appear on the right. Look for your Host ID (See "Where do I find my Host ID (Mac address) ?") and paste it on the website in the field « Host ID » of the license form, then validate. When you have receive your license, load it in the corresponding software. You can then test the Datakit product during the trial version duration. How to install a floating license ? Open your .lic file with a text editor. The version number is just after "DATAKIT". If it is older than your installed version, your license will not work. So you need to install an earlier version or subscribe for a maintenance agreement to always have a license for the latest version of the software. -Check that your license has not expired. Open your .lic file with a text editor. The expiration date is located just after the version number. -Check that your license matches the installed software and the formats you use. Each Datakit software and each input or output format needs a specific license. -Make sure you have installed your license properly. If your license is still not working after checking these points, do not hesitate to contact Datakit. Where do I find my Host ID (Mac address) ? If you are using Windows, click on "Start" then "Execute". The command prompt opens. Tape "ipconfig /all". Then press "Enter". Your Host ID consists of 12 characters located on the line "Physical Address" (Without hyphens). How do CrossManager licenses work ? Each license correspond to an input format or an output format. So, you need just to buy licenses of the formats that you need to import, and those of the formats that you need to export. The list of the available formats in import and in export in the software will change depending on the licenses which you have. How do I install my License ? CrossManager, CrossCAD/Plg, CrossCAD/Ware. What does that mean? 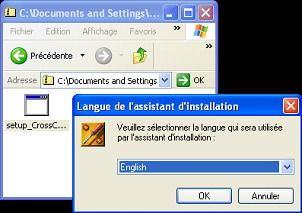 CrossManager for a stand-alone translator. CrossCad/WARE for the components integrated by CAD software companies. What is a plug-in (PLG)? A plug-in is linked to the software for which it was designed. It is not self-sufficient. It comes as an additional option to the CAD software. Consequently, to use CROSSCAD/PLG, you must run a licence for the software on the same workstation. How to look for a product on the website? Clic on « Download » on the top menu. Choose the format that you want to import, then choose the format you want to export into. Clic on « See more » to have more informations of the different products. What is a stand-alone converter ? Stand Alone converters are independents converters. It is a specific Datakit software that converts your files without requiring the CAD software related. Our product CrossManager is a Stand Alone converter. How does CrossManager software work ? CrossManager is a software developed by Datakit to convert files automatically from one format to another without licenses of the softwares corresponding of the formats you want. You have just to select a file to convert and the format which you want to get for having automatically a clean file in the format you have chosen. The list of the input and output formats supported is available on the CrossManager's description page, you will find too the documentation of the software. How to install a product? Log on to the web site. Look for the product you want (see « How to look for a Datakit product on the website ? »). 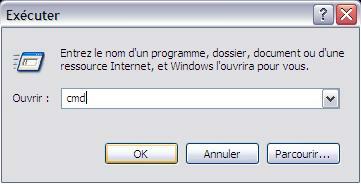 Clic on « download » and save the installation file. Open the executable file to launch the installation. Why the content of the documentation (.chm file) is not displayed ? If you can't see the content of a CHM file, please check that the file is stored locally on your computer (not on a network location) and that it is not in a zip (if it is the case, unzip it). -In the "Open File-Security Warning" dialog box, click to clear the "Always ask before opening this file" check box. -Right-click the CHM file, and then click "Properties". -Double-click the .chm file to open the file. Is it possible to select the assembly, the sub assembly, the whole or a section of a part, that I wish to import from Catia V5 to Rhino? Yes such functionnalities do exist. In Rhinoceros, choose Datakit Exchange, Catia V5, Show tree. Then, select a file to import. Open it. The Components list appears. Now you have the possibility to choose the elements you wish to import. The same functionnalities do exist for SOLIDWORKS. Have you developed a solution to find missing parts, when you import a CATProduct within SOLIDWORKS? A dialog box will appear with the mention 'part not found a and the reference of the part'. - add files. Our solution will look for the file in the mentionned directory. While using Datakit exchange menu, you can either decide to search or not to search missing files. It is an option. Is it possible to get the comments available within Catia V4 3D files while translating them to Rhino or Iges? Yes, it is possible to get different data such as the name of the users, the date you generated the file, its version, an identification of the part ... but also properties: mass, material or history. To summarize lots of information not directly related to geometry. The sole request is that they have to have been registered as comments within Catia V4 file. We know that many of you have been waiting impatiently for a way to import all Catia V5 assemblies into Inventor without losing the assembly structures. How does it works? It was important for us to make sure that the structural matches between Catia V5 and Inventor were maintained, but we also wanted to address cases a structural difference between the two environments: for example, Inventor considers a Catia V5 Cat.Part containing multibodies as an assembly. All the names used in Catia V5 are kept in the Inventor iam or ipt files. Datakit offers Catia V5 to Rhino conversion in batch mode. What does it mean? Designers often see importing data as a laborious, uncreative chore. Automation helps creative people to save precious time and energy. Don't forget that this plug-in has a further advantage: Rhino users do not need a Catia V5 licence in order to run it. Users can opt to import all the available files in a list without wasting time moving files, or selecting them from a directory. Sub directories will aso be procesed if that's what the user initially chose to do. The interface processes all Catia V5 entities, assemblies, topological, surface, and wireframe data and attributes. CATParts, CATShapes and CATProducts can all be imported. With the directory mode, users can also confine processing to just the file types they are particularly interested in. The results of the conversion (.3dm) are stored in the same directory as the original files unless the user specifies another location. Does Datakit manages processing by default FD&T entities in its interface Catia V5 to IGES ? FD&T are not indispensable at every design stage. They can even unnecessarily crowd the information displayed on the screen. The option box saves users the trouble of going into configuration files. All you have to do is to specify in the box whether or not you want to keep the FD&T. If the designer initially chose to hide or to desactivate the FD&T in the construction tree, we can force the processing of FD&T data (even when it is invisible or deactivated). We try to respect the Catia format as scrupulously as possible while leaving users the freedom to choose the data they want to process. Are there preview available for your convertors? Yes, actually, the preview available for Catia V5, SW and UG translators have been so successfull that we have decided to develop a similar tool for users of the Pro-E converters. To get a quick look at a part, you simply need to select "preview version" It displays the model in wireframe mode so that you can take a look it dynamically from every viewpoint. Then, if you want, you can get the full version of the part. Why the site forms don't work ? Refresh the page (F5) after activation, the form will work correctly.